LifeX™ celebrated the opening of its first headquarters, where it will provide expertise and working space to aid the growth of biotechnology companies. 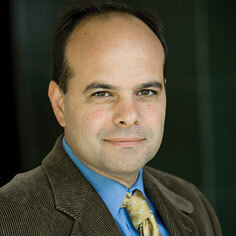 McGowan Institute for Regenerative Medicine affiliated faculty member Dietrich Stephan, PhD, professor and chairman of the Department of Human Genetics at the University of Pittsburgh, is CEO and founder of LifeX which was launched in December 2017. LifeX is a biotechnology commercialization platform that empowers scientist entrepreneurs to create and deliver new solutions to alleviate suffering and premature death across the globe. Founded by the University of Pittsburgh, LifeX’s initial cohort of companies will focus on unmet health needs related to cancer, Alzheimer’s disease, multidrug-resistant bacterial infections, obesity and diabetes and rare genetic diseases. The facility at 2124 Penn Ave. in Pittsburgh’s Strip District includes office and laboratory space where biotechnology companies can collaborate. In addition to the physical space, the LifeX platform brings together experts with proven track records of building new pharmaceuticals, medical devices, molecular diagnostics and population-health solutions to support entrepreneurs with deep industry knowledge. With the April 17 ribbon-cutting came the announcement of a $2 million grant from the Henry L. Hillman Foundation to advance startup operations, facilities and programming. “Throughout its history, the Henry L. Hillman Foundation has supported projects that increase and leverage the Pittsburgh region’s strengths and its competitive advantages,” said David K. Roger, president of the Hillman Family Foundations. “Our support for the Brookings Institution’s report, “Capturing the next economy: Pittsburgh’s rise as a global innovation city,” is magnified in this opportunity to build on the region’s strengths in accord with the report’s findings. Rob A. Rutenbar, PhD, senior vice chancellor for research at the University of Pittsburgh, said: “The Hillman Foundation’s support amplifies the University’s ongoing efforts to translate its world-class life sciences insights to the marketplace for the improvement of human health around the globe.